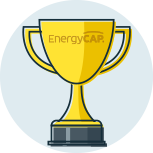 Customer Success is personal, empowering, and enabling, and is all about your long-term success with EnergyCAP. Specifically, Customer Success is a fixed term of service in which you are assigned a dedicated Customer Success Manager (CSM) who will work with you on mutually agreed EnergyCAP topics or tasks—database review & organization, implementing additional functionality, system integrations, user training, and more. The average term of service is between one and three months, and you can renew at any time. Think of it as putting your EnergyCAP professional consultant on retainer. You’ll have unlimited access, at least during business hours.